Capitol Land Trust conserves essential places around the southern arm of Hood Canal and on the Mason County side of Case Inlet. From the Nisqually Reach, Case Inlet extends north past the towns of Allyn-Grapeview to its head, in North Bay. These watersheds support spawning and rearing habitat for numerous salmon species, including some that are federally threatened. 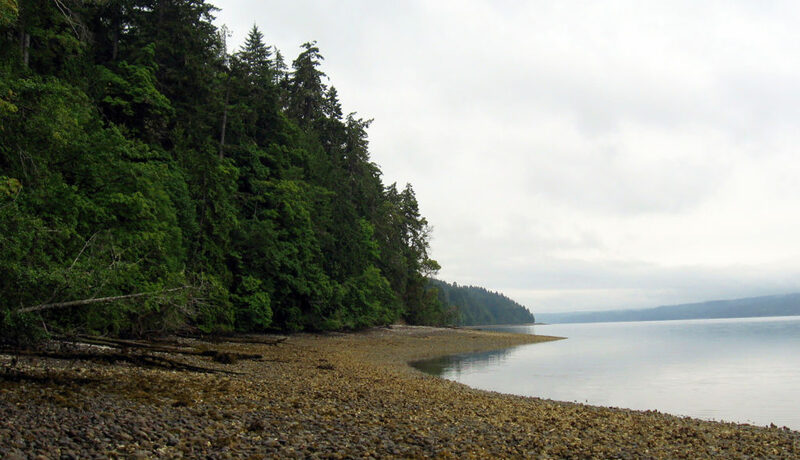 In the southern Hood Canal region, Brothers Beach, LLC donated a conservation easement to Capitol Land Trust on 47 acres adjacent to Hood Canal, including 1,600 linear feet of beach, and over half a mile of streams. This conservation easement protects the forests, shorelines, and wetlands on the property. The Brothers Beach Conservation Easement beach and tidelands support a large native oyster population, as well as mussels, clams and other shoreline animals.